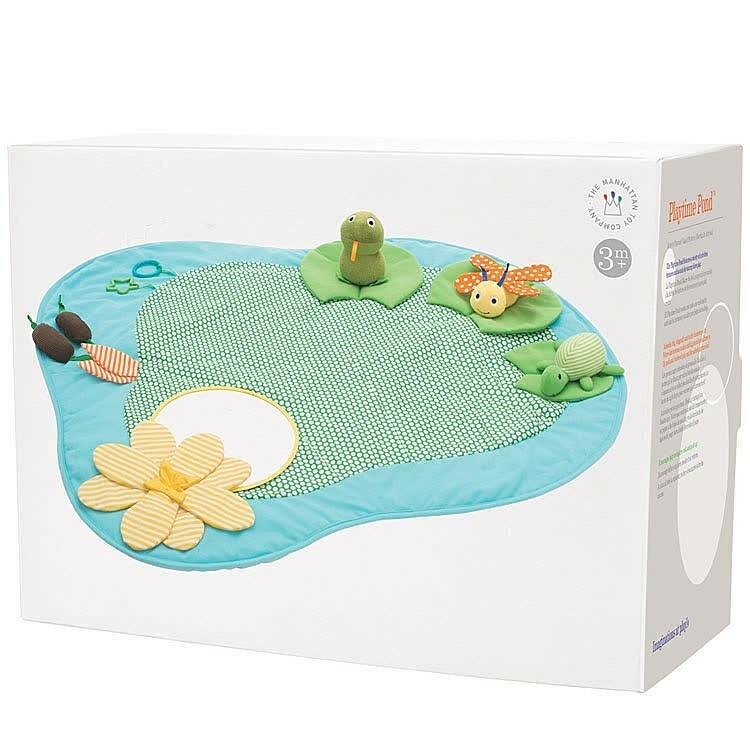 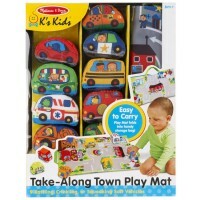 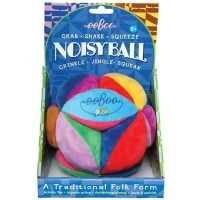 Multiple textures, sounds and features make this Playtime Pond mat a great first learning toy that grows with the baby. 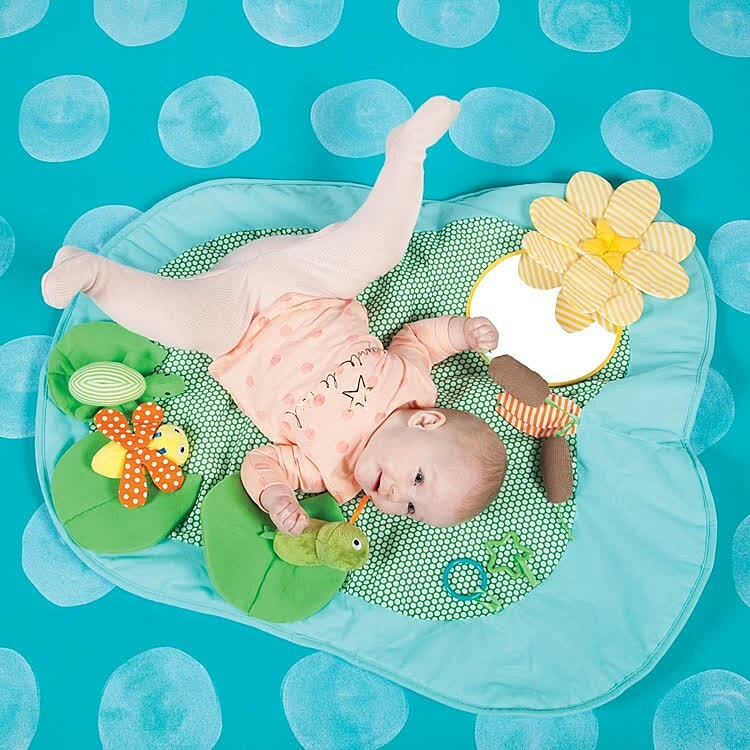 Let your baby swim in the pond of love, pond of play, and pond of developmental fun. 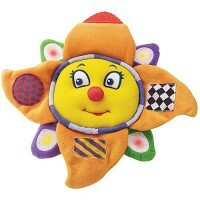 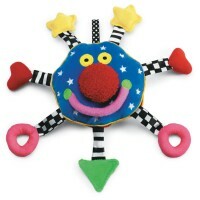 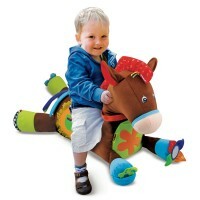 Manhattan Toy's innovative design fits snugly in crib corner, or lie on the floor for tummy time exploration. 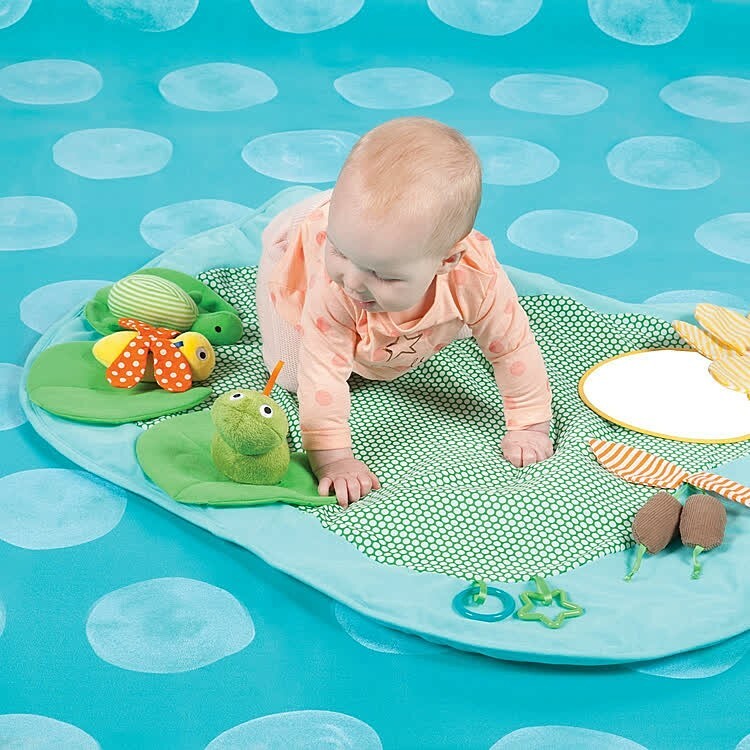 Playtime Pond Baby Sensory Play Mat features a beautifully designed and made soft fabric play center for infants. This attractive pond themed baby activity mat comes complete with an easy-to-fold floor mat that has baby-safe mirror, squeakers, teether, crinkle paper flower, various tactile textures, and 3 removable hook and loop toy creatures. 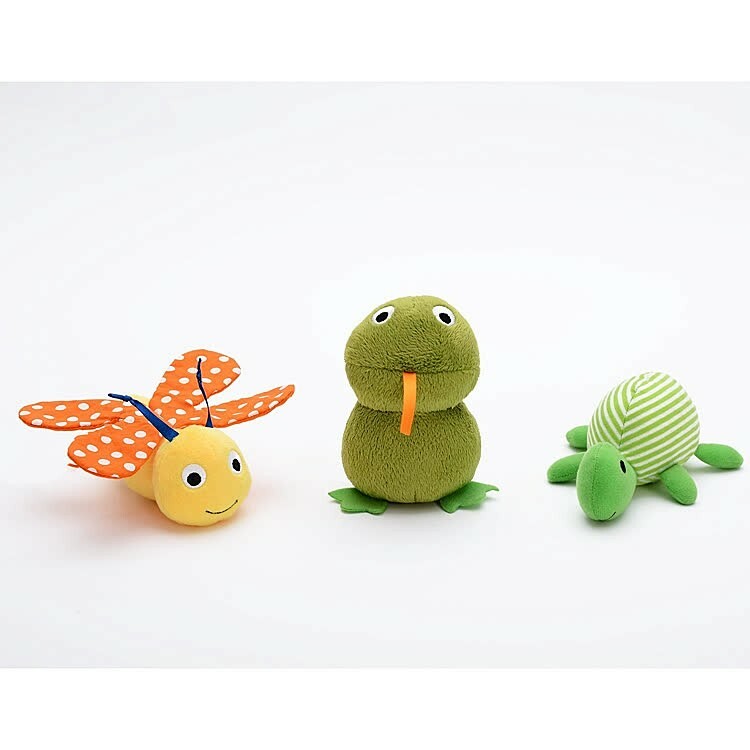 The detachable characters include a frog chime toy, rattle soft turtle, and a soft fabric dragonfly with bright red and white crinkle paper wings. 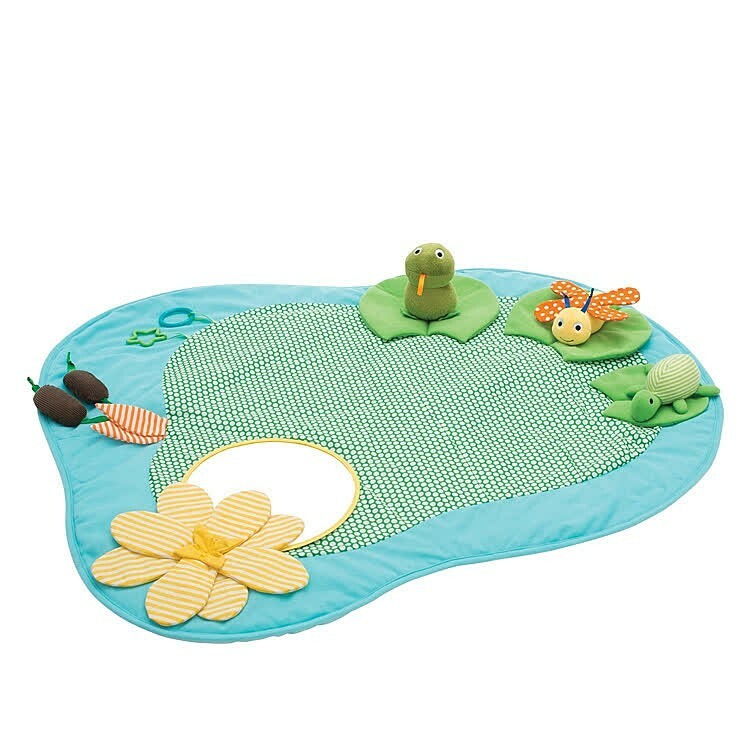 With the Playtime Pond Baby Sensory Play Mat infants can discover themselves in the mirror, explore textures, find new sights and sounds, teethe and rattle, grasp the plush toy characters, try to reach for the farther toys, and much-much more! 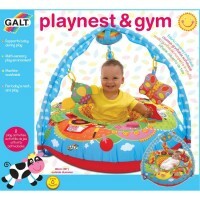 This infant play mat measures 34.5 x 27 x 0.25 inches, big enough for your little one's tummy time activities, compact enough to find place for it, light-weight enough to take along to grandma's house. 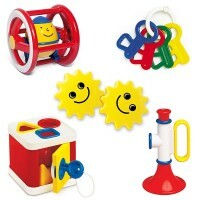 This Educational Toys Planet's multi-activity developmental baby toy is a terrific idea for a baby shower, or baby arrival gift. 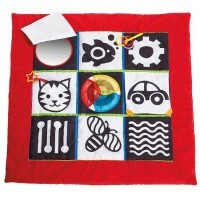 Dimensions of package 27" x 34.5" x 0.25"
Write your own review of Playtime Pond Baby Sensory Play Mat.